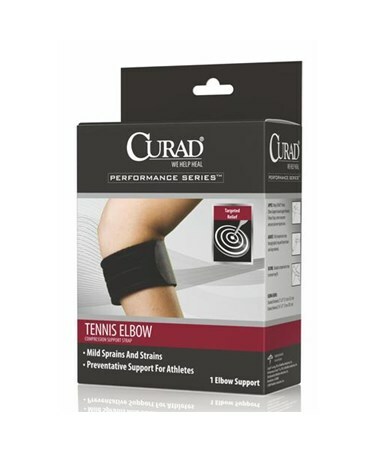 Curad's Deluxe Tennis Elbow Compression Support Straps offer targeted relief for mild sprains and strains, as well as providing preventative support for athletes. A neoprene pressure pad increases the strap's functionality. They're made of latex-free neoprene, measure 31" x 2.75", and are universal in size. 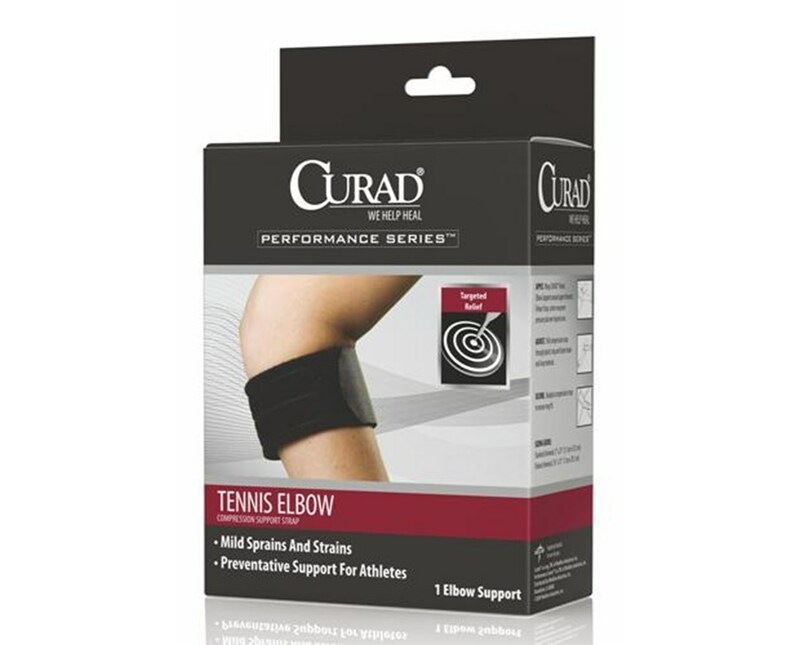 We offerCurad's Deluxe Tennis Elbow Compression Support Strap in two quantities. Select from the drop down menu above.